bottle identification help - battery bottle? My guess is it's lab glass -- a reaction vessel with two necks. Some science labs employ a gaffer who may produce on order borosilicate glass implements and vessels for special uses. Correct. This may have a polished pontil (hard to tell from photo) - likely 19th century. 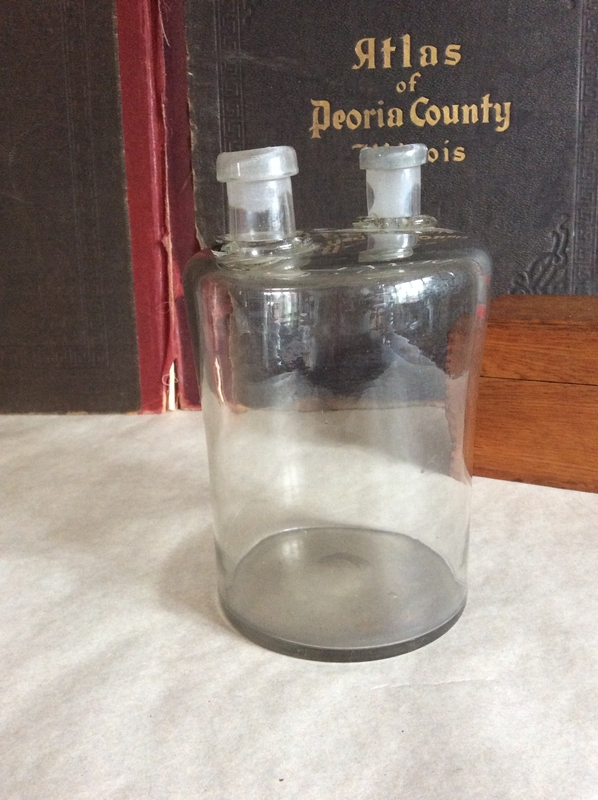 Bottles of the 19th c. were rarely made with clear glass but not the case for labware.